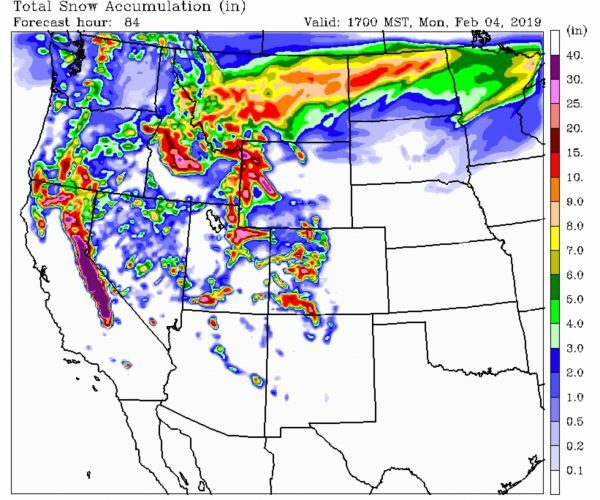 Groundhog’s Day Weekend 2019 looks like it will be a snowy one for the mountains of the Western United States…measured in feet of accumulation in some places! 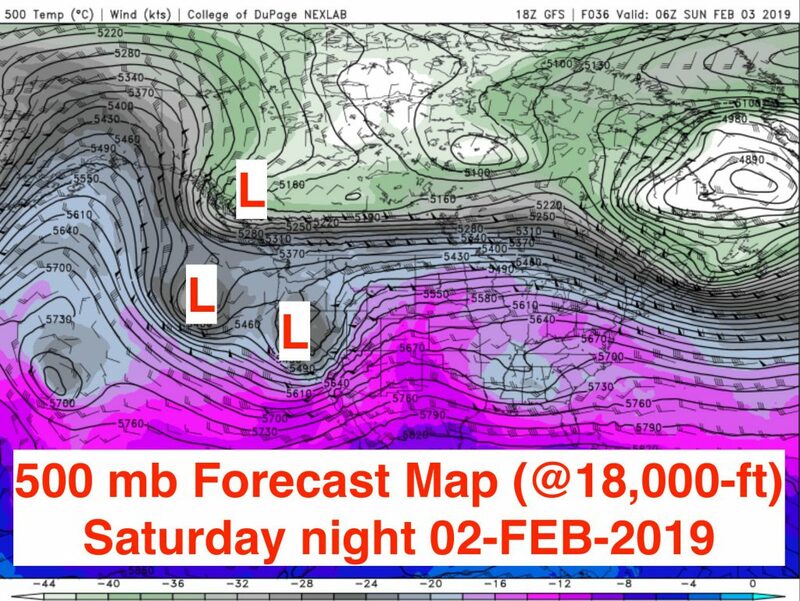 Three separate Low-pressure centers will develop and combine to give the weekend a one-two-three punch, beginning in the Sierra Nevada mountains Friday night, February 1st, extending inland to the Rockies beginning later Saturday, February 2nd, and continuing to snow across the Western U.S. thru Monday, February 4th. This combo of storm systems will accumulate decent snowfall, especially for some parts of the Sierra, exceeding 5 feet! The mountains of Northwest Wyoming should do well, with 15 to 20 inches in the Tetons, 2 feet or more in parts of Yellowstone Park and in the Wind River mountains. 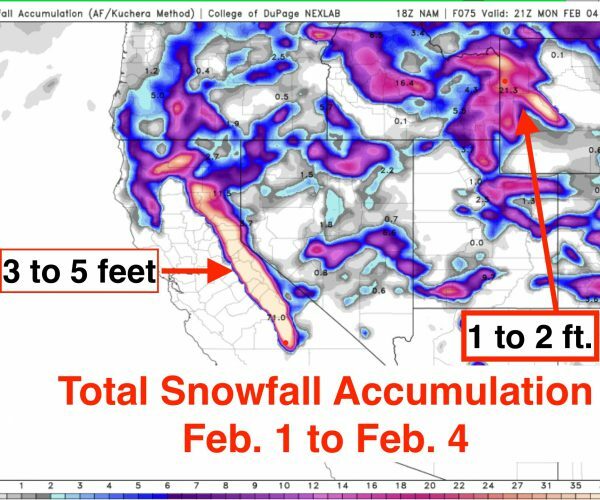 Below is the CAIC forecast snowfall accumulation for Friday afternoon thru Monday afternoon, Feb. 1 to 4, 2019 and it is just as robust as the NAM with the snow accumulation thru the weekend. Happy Groundhog’s Day, the official halfway point of the winter season!